Les Murray’s "Introduction" to The Quadrant Book of Poetry. While several of the long-established Australian cultural quarterlies have wobbled and vanished in the new century’s first decade, Quadrant has flourished. For decades a plain-faced battler against political correctness, it defied the niggardly measure of government subsidy which came its way, in comparison with money lavished on its peers by universities and arts bodies, and survived on subscriptions and newsagency sales. The diet was a healthy one. The journal went from a small quarterly to a ten-months-a-year A4 folio of well over a hundred pages per issue. As well as its rational countervailing voice and lack of bullying, people came to enjoy the growing proportion of amenity not soured by everlasting combat: short stories, memoirs, articles of general and tangential interest have gradually diluted the obsessive critical preoccupation of other journals. Quadrant has always valued poetry above comment, but in the remote past did not always prove it; now, as academic class-defensiveness and preserving the year 1968 become ever more of a turn-off for many readers, poetic value has come to seem real enrichment. In the age of writing classes, especially, poetry ceases to be subject matter and becomes an avenue of personal expression and hope. “We go to the moon not because it is easy but because it is hard.” At a time of such turn-about in the life of magazines, a Quadrant anthology seems well overdue. This book presents ten years’ worth of the best Quadrant verse, from 2001 to 2010, in annular rings to collate each year’s triumphs, a total of 487 poems. A word about creaky Quadrant styles: they don’t always creak. The magazine was founded by a real, distinguished poet, the late James McAuley, sixty years ago in the Cold War. A stern formalist, he tried to put his beloved art form at the service of his intellect and his beliefs. Sadly, the effort squeezed out the lightness poetry needs, and he only regained the grace of poetry at the behest of cancer, after he ceased to be our editor. A gradual shift to pluralist freedom under other editors didn’t always go smoothly. People who scorned free and syncopated lines in verse sometimes went so far as to attempt recapture of the magazine by publishing their sonorities in the Letters column, a tactic the late Padraic McGuinness was quick to step on. Nowadays, many readers love the yards of witty Pope-on-dope supplied by the Kentish Scot John Whitworth. It has been known for decades that poets who might fear relegation or professional sabotage from the critical consensus of our culture have a welcome and a refuge in Quadrant—but only if they write well. Brave writers of the excellence of Hal Colebatch and Peter Kocan, long sent to Coventry by the poetry wars of last century, fight their corners in precise metre alongside nonchalant writers who cross the firing lines, or who come from all over the English-speaking world and have the blessing of ignorance about the class warfare that subsumes Australian art. Poets like Pascale Petit, from French origins and Welsh upbringing, who works in a mental Latin America somewhere between Frida Kahlo and Remedios Varo but often higher up the mountain. 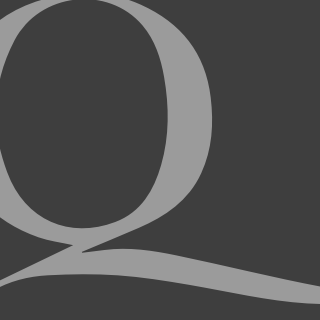 For, like most of our journals, Quadrant long ago became an international venue. 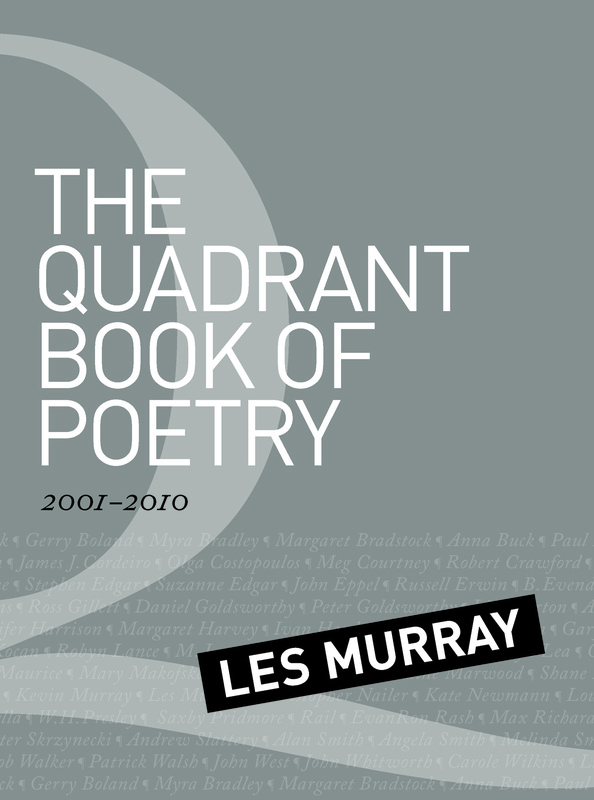 Les Murray is the editor of The Quadrant Book of Poetry.